With the exception of a few classics, hotel bars were often a city's after-thoughts - a necessity but one that didn't warrant any outside traffic. 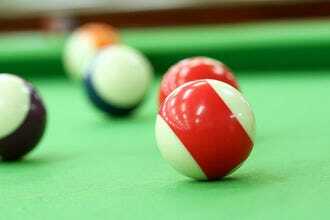 Today, it seems a hotel is not a hotel without a top-notch bar. More and more, these bars don't just cater to out-of-town guests, but in-the-know locals as well. Mr. Purple is the perfect example of a hotel bar that's all grown-up. 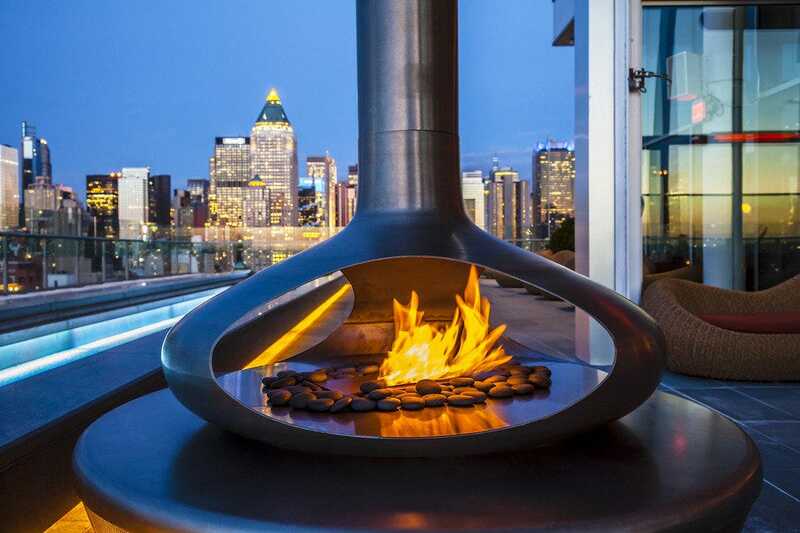 Unlike the hotel bars of yore, visitors sip specialty cocktails and lounge around the rooftop pool while gazing out over Manhattan's gleaming buildings. 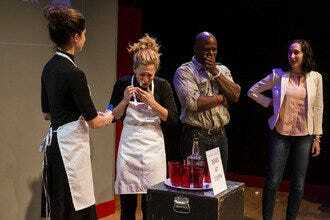 In the same vein, those looking for a dance party needn't head to the nearest club. 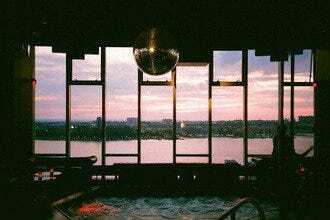 Instead, guests can take in the views and shake their tail feather at places like Le Bain at the Standard, a party classic near the High Line. 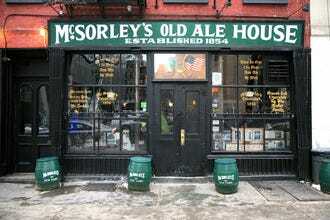 And if you're looking for old New York, those classics of a time gone by do remain. 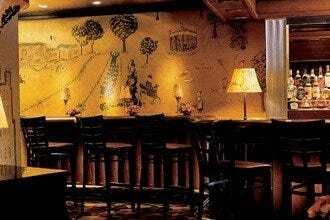 For a dose of nostalgia, head to Bemelmans Bar at the Carlyle Hotel. Adorned with whimsical art from the artist of the same name, this Madeline-themed wonderland is everything that made past decades so grand. Guests can easily get lost for the evening clinking the ice in their old fashioned while listening to one of the pianists known to grace the stage. No matter your poison or your preference, there's a New York City hotel bar for you in our list. 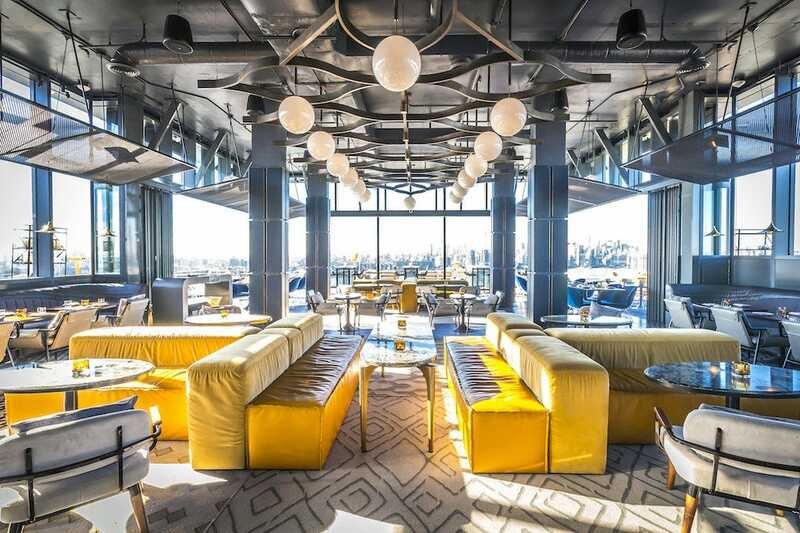 The Press Lounge at Ink48 Hotel is perched atop the city, rewarding patrons with unobstructed views of Manhattan and the Hudson River. 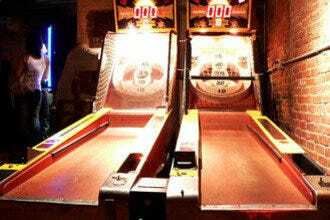 It's won accolades the city over, including from The NY Times' Frank Bruni who wrote it was "without question, one of the city's most attractive bars." 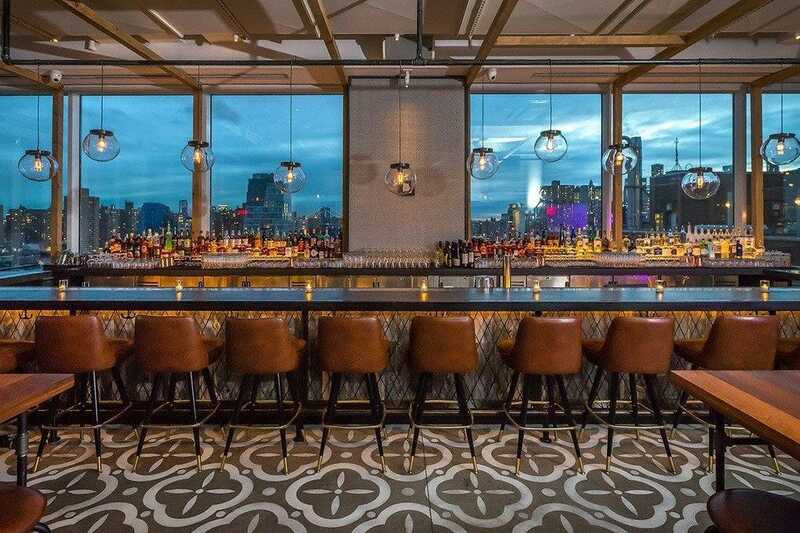 Stunning views aside, the bar's impressive cocktails make it a favorite among in-the-know New Yorkers looking to impress clients or dates. It's equally suited for both occasions, but if you're looking for the former, regulars say The Press Lounge could be your lucky ticket. Keep in mind that luxury like this comes at a price - you'll find drinks are poured for a premium, but they're worthy of the up-charge. Named after a famous author of children's literature, this piano bar in the Carlyle Hotel offers a luxurious reprieve on the Upper East Side. The spot bills itself as a piece of "Old New York," but the author's murals from stories like the classic Madeline balance out the dark, heavy wood and atmosphere. 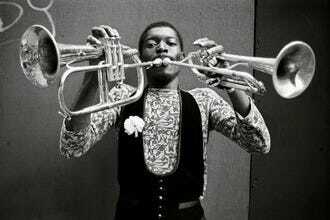 Piano jazz is played here nightly from 5:30PM, and patrons include everyone from mature neighbors to politicians and movie stars. 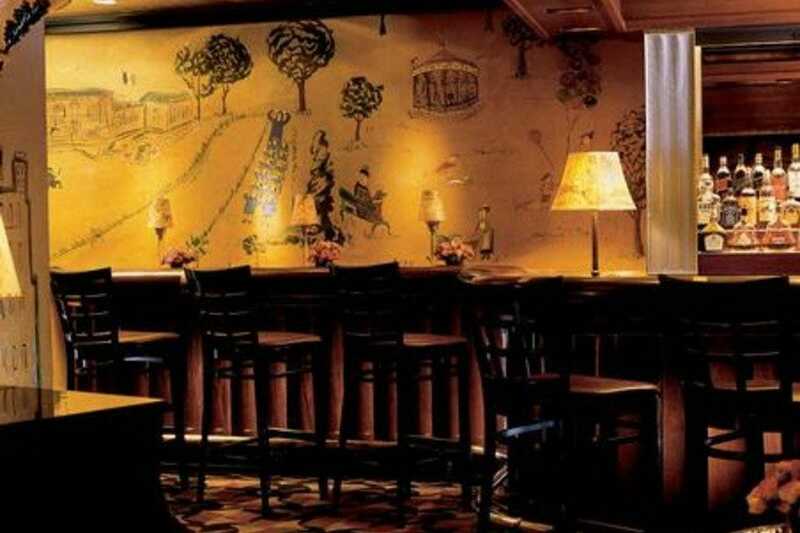 Art lovers will also appreciate that the large-scale murals in the hotel bar are the only surviving Bemelmans' work that's still open to the public. 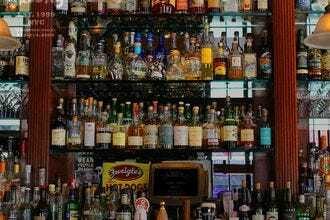 Indeed, this place ranks among the city's classic piano bar joints where you can enjoy a good drink, terrific company, and great music in relative peace. Owned by artist Julian Schnabel and hotelier-to-the-stars Ian Schrager, Manhattan's luxurious Gramercy Park Hotel has an unparalleled location next to Gramercy Park, celebrity chef Danny Meyer's Italian restaurant, Maialino, and not one but two bars beloved by the city's boldfaced names. The dimly lit spaces have red and white tiled floors, an impeccably stocked oak bar, plush velvet chairs and no shortage of upper-echelon international travelers, New York Times Style section editors, wannabe models slash actors, and music executives with multiple smartphones. The incredible art collection includes a 15-foot original by Andy Warhol, and, of course, several pieces by Schnabel himself. The fancy Standard Hotel, Andre Balazs's hedonistic playground in Manhattan's Meatpacking District, has five bars and restaurants, including Le Bain (also on this list). Unlike the club feel upstairs, the humble Biergarten is an open-air space that lies right below the southernmost entrance to the High Line. The noisy, convivial crowd spans hotel guests, chattering NYU co-eds and group office outings with a singular purpose: get drunk. 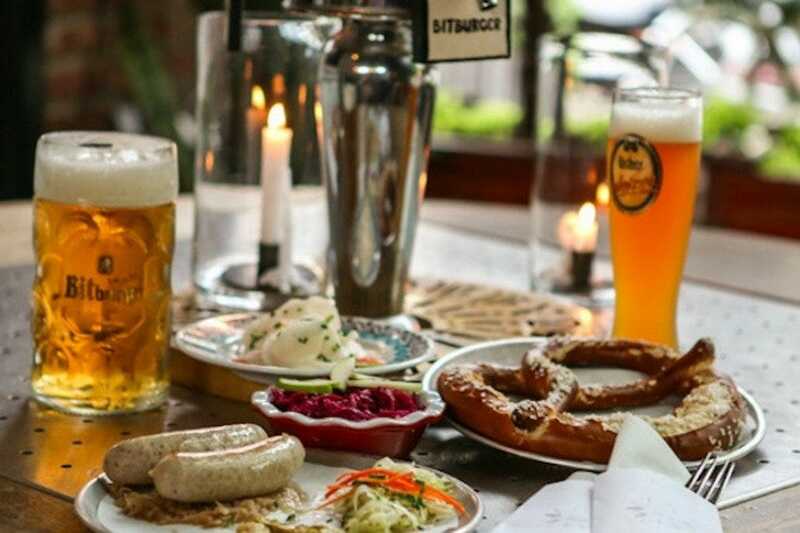 Hit the bar for a stein of German lager, wheat beer or stout, then put in an order for a grilled wurst or an almost comically large soft pretzel, served with spicy German dipping mustard. The menu was created by none other than Austrian chef extraordinaire Kurt Gutenbrunner. 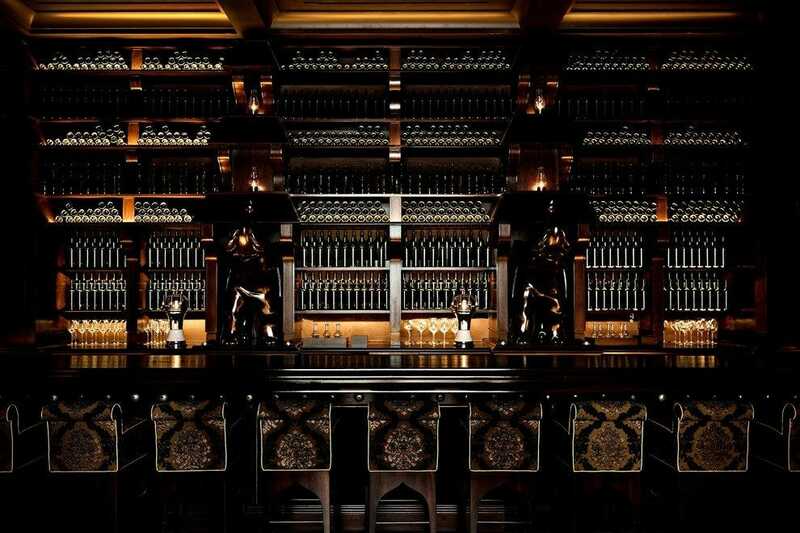 The NoMad Hotel's Library Bar is anything but bookish. Jacques Garcia, of Paris' L'Hotel fame, designed the interiors of this smart cocktail den and the adjoining NoMad restaurant. Walk through the dining room (it's a little awkward, yes, but the staff will guide you along) to reach the bar in the back. Though the leather-bound cocktail list and glamorous dark wood tables present a strong argument towards the formal, the atmosphere at The Library Bar is surprisingly relaxed and welcoming. 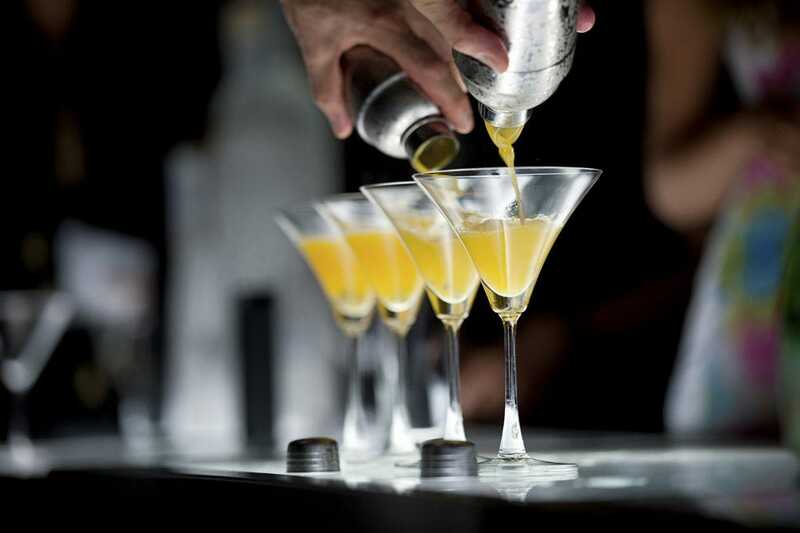 Skilled bartenders are happy to make recommendations and pour a variety of classics and house creations. 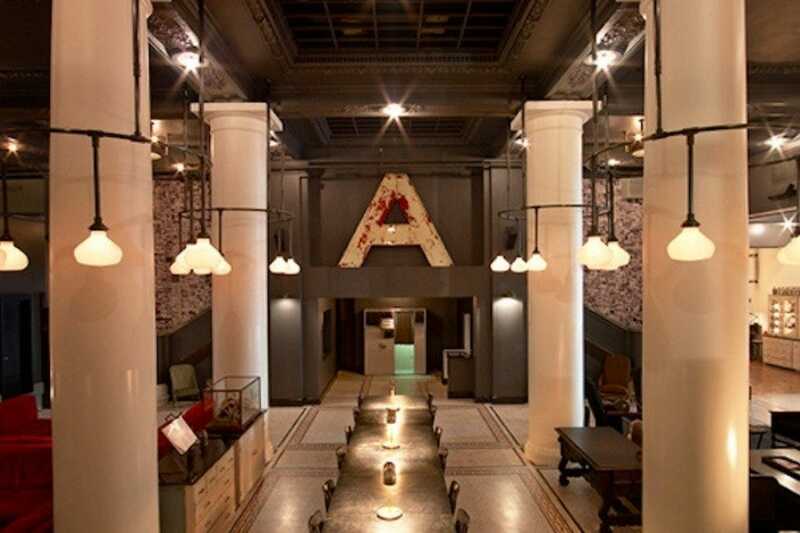 A 21st century hotel haunt, the hipster-chic Ace Hotel's Lobby Bar is an immensely popular gathering place for hotel guests, most of whom work in creative industries and have titles like "Director of Media Strategy and Ideation," as well as the local skinny jeans set. Expect to fight for laptop space amongst countless twenty-somethings with internet startups, all seeking creative inspiration and free wifi on the cavernous space's low-slung sofas and long wooden tables. In addition to cocktails, many Lobby Bar-goers sip to-go cups from the Ace Hotel's feverishly popular coffee shop, the New York debut of Portland, Oregon's Stumptown brand. 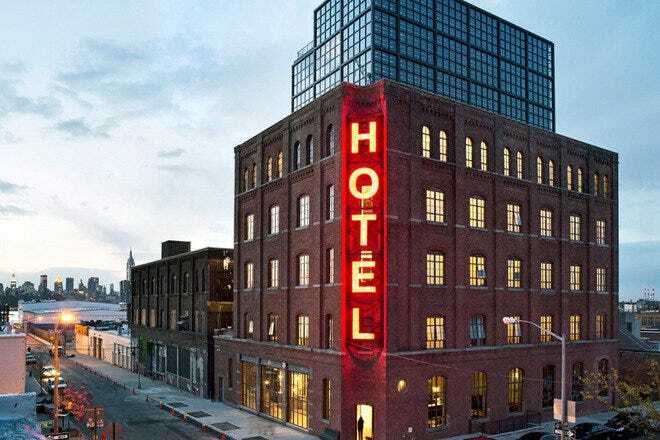 Positioned high above the city on the Indigo Hotel's 15th floor, Mr. Purple is located on the bumping Lower East Side. Spanning 6,000 square feet and a rooftop pool, the space is reminiscent of an artist's loft, with low-hanging lights and concrete complementing polished wood. The restaurant pulls together the best of the area's best â" guests can sample Melt Bakery, 2nd Avenue Deli, Beecher's Cheese and Yonah Schimmel Knish Bakery. As for liquid fare, Mr. Purple's speciality is the classic cocktail â" the Old Fashioned and the Manhattan both make appearances alongside more modern carbonated craft offerings, hand-squeezed juices and Irving Farm Coffee Roaster brews.